Among all the scripts that Steve Sabol has written about the start of a new season, one of his favorite lines appeared in the 1974 edition of “Championship Chase,” narrated by John Facenda. Above is a look at Steve’s hand-written notecard containing the line, and below, a clip from that “Chase” show in which it first aired. Feeling inspired by the first Sunday of the season? 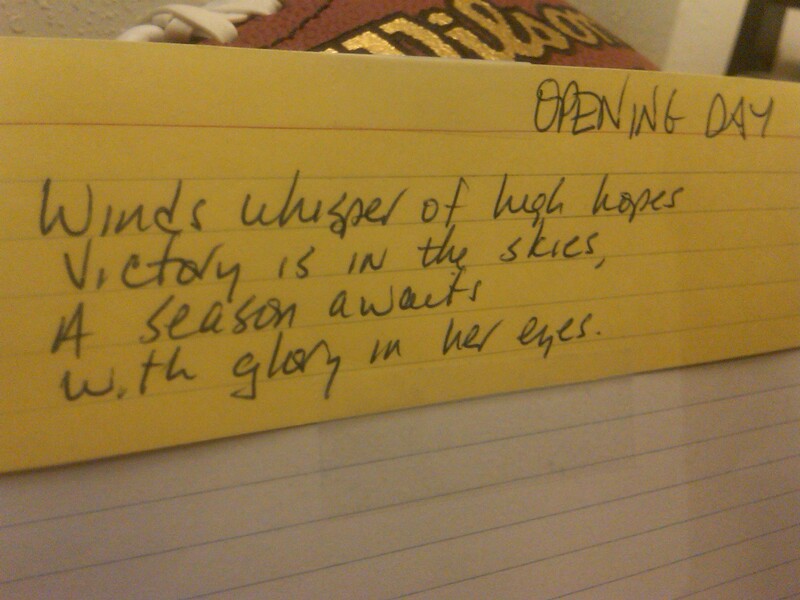 Send us a line of your “Opening Day” script. Post your prose below as a Comment or on our Facebook Wall. Happy writing.